According to PEW research, 16% of US Adults have shared a news story– only to realize it was fake later. How do you know whether the headline that just compelled you to reach for the share button is true or false? Trust in traditional media is fading. And it doesn’t help that many of us get news from algorithms that use our behavior and preferences to show us content designed to trigger a response. Is this news story fake? How do you blow fake news stories’ cover and tell them apart from the real thing? Before we can do that, we need to understand why fake news stories work so well. A fake news story isn’t looking to convince you of something new. It’s not out there to educate or inform. It’s got one purpose– to get an emotional rise out of you. A good fake news story feeds off the things you already believe about the world and gives you a little push past logic and straight to the guttural reaction. Because when you’re in a righteous rage, you’re far more likely to do what the story’s creator wants you to do. A fake news story is designed to get your emotions up to the point where logic takes a decisive backseat. It’s engineered to outrage you so that you take a specific action. It’s the beyond-sleazy salesman whose scruples packed their bags a long time ago. Fake news stories probably wouldn’t enjoy as much success without algorithms. Search engines like Google and social media platforms like Facebook use AI-powered algorithms to show you content you’ll love and share. These algorithms are extremely useful. They’re the reason it’s so easy to find what you’re searching for. And to be even more helpful to us, as you get on with your digital day, pixels and cookies track your behavior and the engine makes notes. These notes aren’t (usually) for nefarious purposes. They’re there to help Google, Facebook, and other businesses serve us up the best possible content and products. Naturally, the algorithms (and the companies behind them) wants to show us the information that matches up with our beliefs and interests. Pleasing us is the algorithm’s number one job. Otherwise, you won’t spend as much time online. Or you’ll go to a competitor who understands you better. But this means that people with nefarious purposes who want to exploit our beliefs to make money or gain power can use fake news stories to do just that. And the algorithms will help them deliver it– because it’s not a computer program’s job to tell truth from a lie. So how do you tell the truth from the rest? Is this story from a source I trust? Check the source. Then check if other sources are verifying it. An unlikely story isn’t always fake–Pakistan’s former prime minister really was brought down by a Microsoft font. But if it sounds too good (or bad) or be true, make sure it’s corroborated by multiple diverse sources. Does it support what I believe about the world a little too well? We all suffer from confirmation bias. That’s why it’s so important to make sure someone isn’t exploiting our beliefs for profit. If a story feels like a punch in the gut and confirms something you deeply believe, triple check it. What do the fact-checkers say? Third-party fact checkers can come in handy in the fight against fake reality. Check sources like FactCheck.org, Snopes and Politifact. It’s not the algorithm’s job to serve up diverse opinions and perspectives. It’s up to us to go out and try to uncover the truth of a situation before sharing it. By reflecting on our own reactions and motivations before hitting that share button, we can help make the internet a better place. Want to immerse yourself in this fascinating topic? Here are some articles you can start with. Curious about what it’s like to be on the other side of the fake news process? To be the one spreading the rumors? 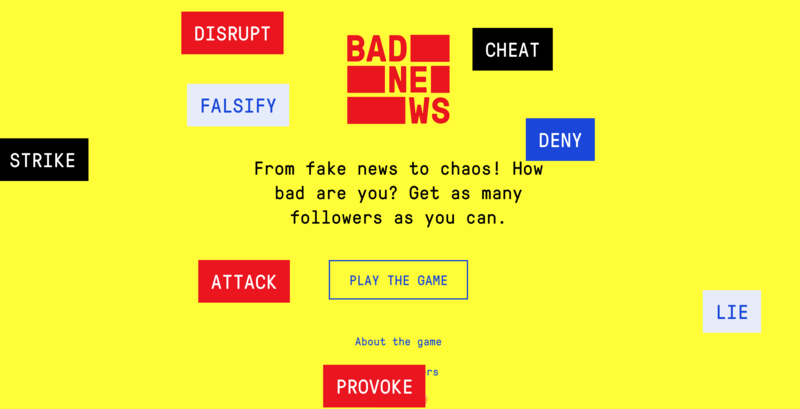 Get Bad News is a game designed to help you do just that. In it, you play the role of a fake news tycoon determined to push the right emotional buttons to get the biggest reaction. It’s a research project designed to help educators help younger folks understand (and fight) fake news. I really appreciated your webinar on Fake News! More content like this will make me a financial supporter. 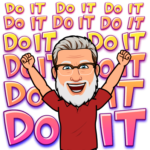 As a retired person interested in technology, travel, photography & sharing our experiences with friends I am always looking for apps, tools, skills, resources & training to enhance our quality of life. I’m not concerned about productivity and making money but more interested in technology that improves our shared experience when travelling, sharing & communicating online with friends, safety & security online and accessing content from all over the world. I topic that would be of tremendous interest would be how to create a sophisticated, flexible travel blog with the ability to incorporate maps, photos, text possibly find raise for some cause of personal interest. I see extremely well design personal travel blogs but when I try to use several of the usual and recommended service providers, their templates our difficult to setup, not very intuitive to use, require setup charges, hosting fees, admin fees and then I start thinking this is too expensive, and complicated in order to establish & share a free blog. Address these topics & you’ll have me as a donor. I do point it out and have only had to “unfollow” one chap. As a grandfather of 3 boys, I feel we have a duty of care to future generations. Like you, if someone unfriends me it’s water off a duck’s back. If it’s on someone else’s FB page I only answer challenges and after a couple of entries I’m satisfied the complainer has revealed their biases. On my own page though, it’s game on. I’m more than happy to dissect their arguments. Most of the fake news are spread on facebook. It is a serious issue and I think facebook is working on it. You also shared how to spot fake new. That’s a nice trick to find fake news. Thanks.